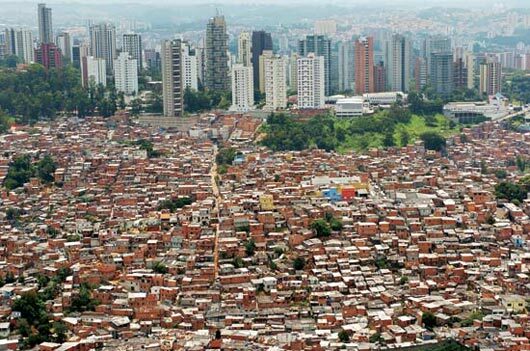 black_tansa_: Slum to saviour: Plan B? 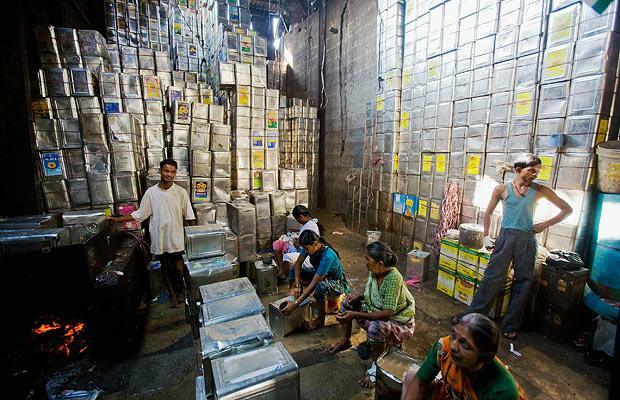 Slum to saviour: Plan B? 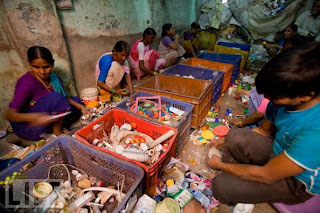 Dharavi, Mumbai is reportedly the largest slum in the world with around 1.1 million inhabitants in an area of less than 0.67sq miles - a mass of shanty housing making it also one of the highest population densities per square mile in the world. Dharavi has been completely discarded by the Indian government - seen as a scab on the city. As a result it is totally ungoverned, growing organically as and when required, stealing pockets of unused space close to the financial centre of Mumbai. There is no official power, water or sanitation supply feed into the slum and seemingly, the only order found is the order of chaos. 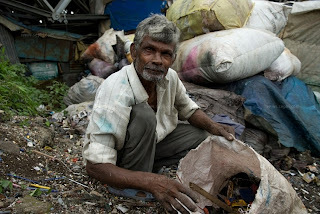 Because of this Dharavi has been featured recently in many films and documentaries, where it has been depicted as nothing but a poverty stricken hole of suffering. 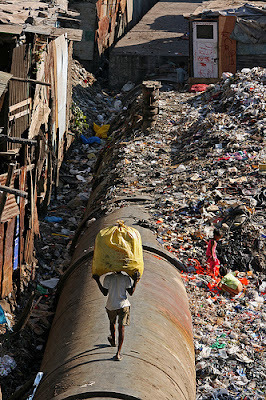 It is believed that without Dharvi, Mumbai would have suffered a waste management catastrophe years ago. Recent figures suggest that up to 70% of the city’s waste is collected and recycled within the slum, giving it an (illegal) annual turnover of in excess of $650 million. This waste to worth business model has not only ensured that Mumbai continues to function as a city, but because of the scarcity of resources here and lack of land, people are forced to share, forced to work together and forced to live together. This in turn has created a tight-knit, dynamic and colourful community which is not just surviving, but prospering on each other, and on the waste of a city which without it, would be in crisis. If, as suggested, our future is one of land loss due to global warming, increased population, scarcity of resources and mass urban sprawl - these ungoverned, mass organic recycling communities could hold the blueprint for our own progression. Maybe architecture and society should be looking to study the emerging and adaptive concepts of dwelling, density and community of the slum in order to solve the humanitarian and architectural issues which are upon us? Ah yes, some salient home truths here, but unfortunately the Dharevi system seems to work because of the incredibly low wages and the child labour element. However, presuming crude oil triples in value before too long, and plastics follow, maybe this could be a model for Lambeth too? I take your point. As stated – I’m not suggesting that life here is all rosy. However, places like these should be studied further to try gain a deeper understanding of the complex relationships which are occurring as a result of ‘necessity’ – and possibly the lessons to be learned in western society.